If you are looking for a portable charging device that can easily be transported then the Orca Powerstrap might be worth a look. 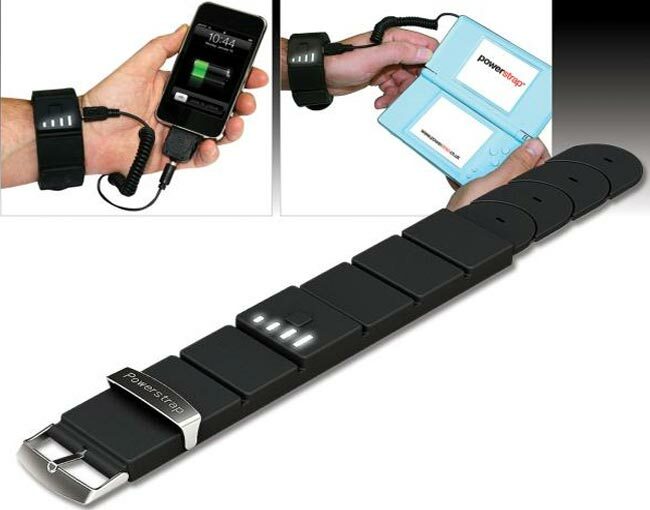 Its not the most stylish of devices but may help you out if you know you are going to need a little extra power during the day for your devices. Simply charge up the Orca Powerstrap via is USb connection from any power source, even your car lighter socket. Once fully charged the powerstrap will then be able to charge : iPod/iPhone, Nintendo DS/DS Lite/DSi, Sony PSP, Nokia (mini), Samsung mobile phone, Female USB devices, Sony Ericsson mobile phone, Nokia mobile phone, Blackberry, LG mobile phone, Male USB (for charging the strap itself). Available to purchase from IWOOT for £39 or around $62.